For half a century, the American public imagination has linked the word “transmission” to AAMCO — and for good reason. Our proven expertise in fixing the most technically challenging part of a car is heralded far and wide, and as a result, we remain the leading brand for transmission work. Rather than rest on our laurels, AAMCO has prepared for the radical shift in automotive repair. As cars become more like computers on wheels, and as hybrid and electric vehicles become mainstream, AAMCO is making significant strides toward becoming the only brand capable of fixing them. 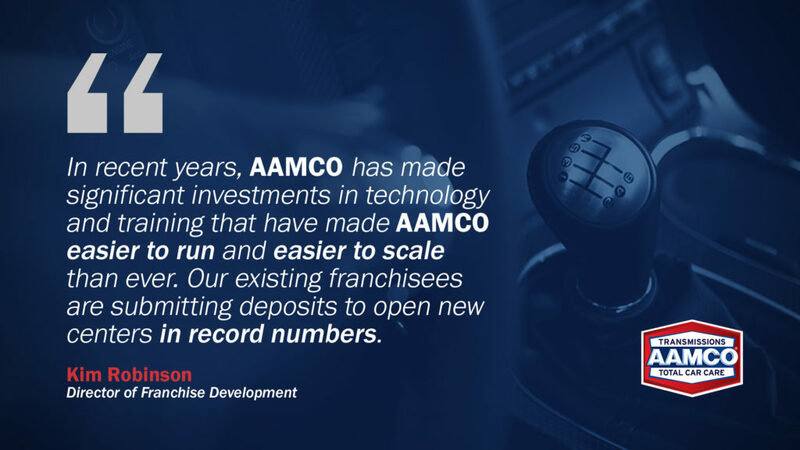 In recent years, AAMCO has invested significantly in new technology and ongoing education to ensure that our franchise owners and their technicians have the skill set to meet the demands of modern vehicles with the expertise for which our brand is known. 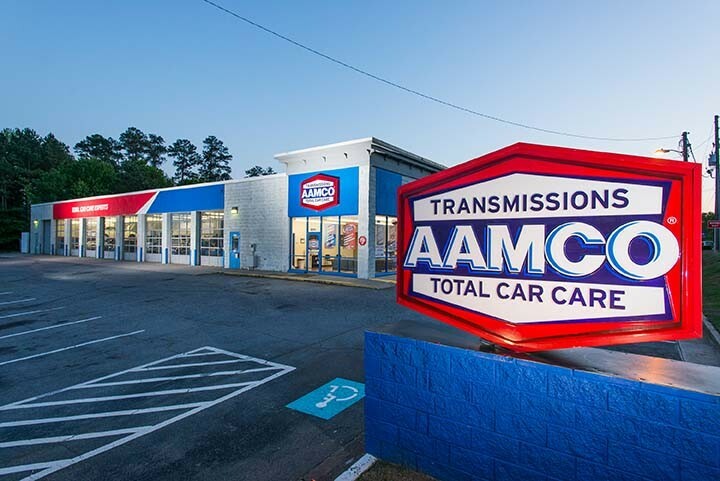 In 2014, we launched AAMCO University, a state-of-the-art training facility in Newnan, Georgia, which offers more than 300 hours of classes for franchisees and their technicians, as well a high-tech garage where technicians can learn how to repair electric and hybrid vehicles. To make the business easier to run and more profitable, AAMCO recently launched a new Point of Sale system that provides franchisees with executive-class analytics, helping to make scaling to multi-unit ownership easier than ever before. AAMCO also invested in new CRM software, which gives franchise owners access to the entire support network. As part of the Icahn Automotive Group, AAMCO franchise owners enjoy enormous benefits. Icahn Automotive Group is one of the largest franchisors in the auto repair industry, with over 2,000 locations across four different brands. The brands in the Icahn Automotive Group network specialize in different aspects of car repair, and can therefore support each other and refer business back and forth. For example, if a customer visits one of the 1,000 Pep Boys locations across the country, and the vehicle requires transmission repair, that Pep Boys shop will refer that customer to their local AAMCO. 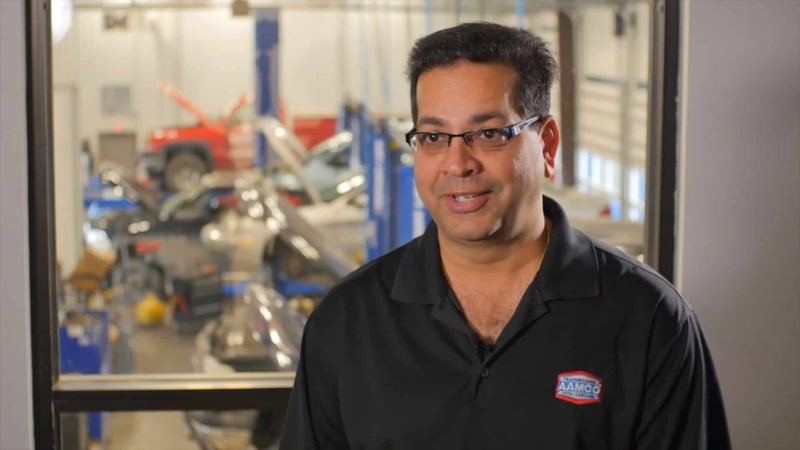 Icahn Automotive Group also helps AAMCO franchise owners keep ongoing inventory costs low, due to the strength of the brand’s spending power. There aren’t many worldwide leaders in transmission repair — there’s only one — and being associated with a brand that has spent decades building consumer trust and loyalty comes with several advantages. The first advantage is immediate: when you open your doors to your new business, your community already will know where to take their vehicles for complex car repair. The other advantage is that the automotive industry is changing so rapidly that other brands are far behind in terms of being able to repair complex vehicles. So the market is wide open. One other advantage in being the worldwide leader in transmission repair is that complex car repair is lucrative. According to Angie’s List, the average cost of transmission repair can range from $2,800 to $3,800 for a rebuilt transmission and up to $8,000 for a transmission replacement. Higher tickets means that AAMCO centers can thrive on a much lower volume than brands that specialize in common car repair, such as oil changes and brake pad replacement. The cost of replacing batteries on electric vehicles also is lucrative. In the Nissan Lead, one of the most popular electric vehicles on the road, a new battery will cost upwards of $5,499. More importantly, putting a new battery in is too dangerous to do at home or at your typical auto repair shop. Doing it safely requires a significant amount of training and expertise. While no one likes to be alarmed by the check-engine light, AAMCO goes above and beyond to make the experience easier on the consumer. Last year, we rolled out a consumer financing platform, which approves customers of all credit ratings in minutes, and offers them the ability to budget an expensive repair. In turn, the ability to offer consumer financing helps AAMCO franchise owners generate more revenue and better serve their communities. “55 years ago, a single AAMCO center started servicing transmissions in the Philadelphia market,” Brian O’Donnell, Senior Vice President of Franchise Development with AAMCO. “Before that, consumers had really one choice: going back to the dealer, which was expensive and inconvenient. That created the need for this transmission shop. In turn, it created an entire industry, and the industry boomed. 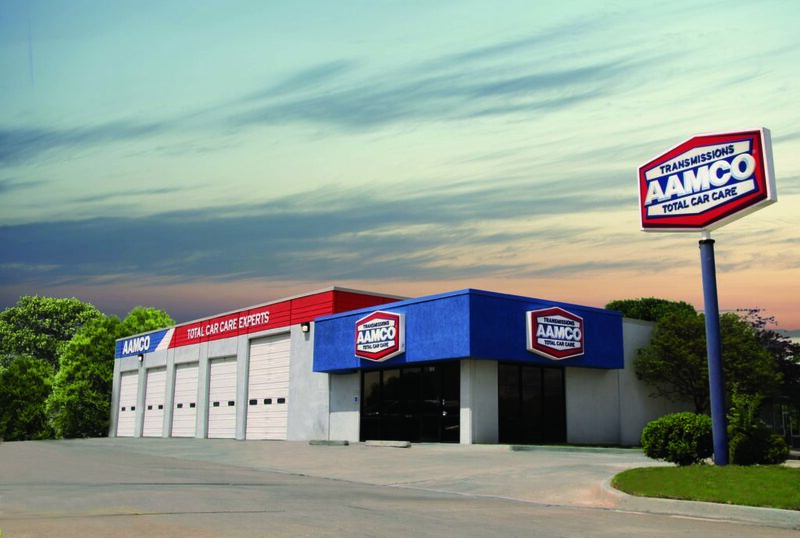 AAMCO’s network of locally owned and independently operated automotive service centers employs the latest technology. Expert technicians diagnose a repair, fix it right the first time and back it with a nationwide warranty. Known as the world’s leading transmission expert, AAMCO enjoys enormous brand equity, decades of consumer trust and enormous growth potential. 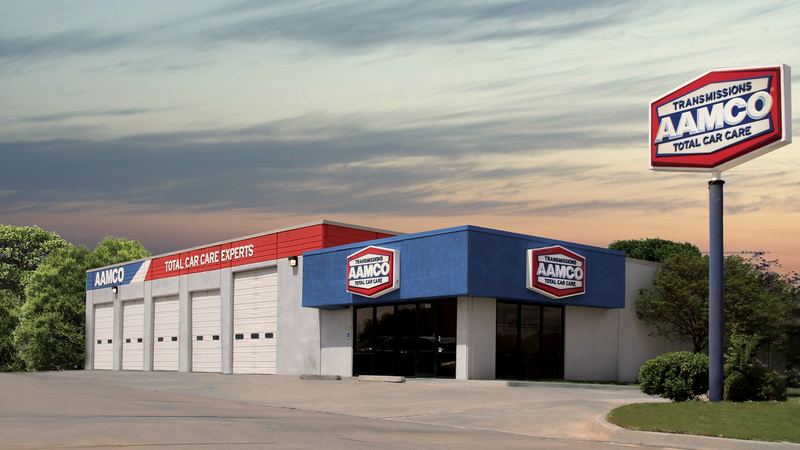 With more than 600 centers across North America, AAMCO is actively seeking single- and multi-unit operators who are passionate about the brand and committed to providing the highest-quality service. Interested candidates should have a minimum net worth of $250,000 and liquid assets of at least $65,000 per unit. Depending on the real estate site selected, franchisees can expect the total investment to be $223,600-$330,500, with a $39,500 initial franchise fee. Reduced franchise fees are available for honorably discharged veterans.